Greetings! 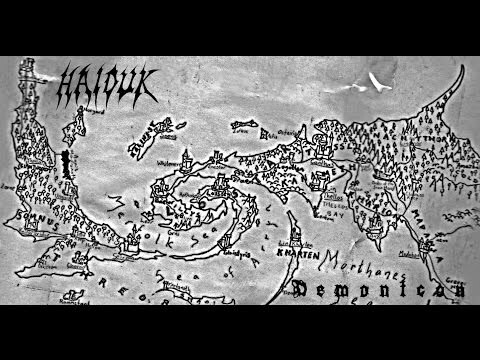 Blackened death metal solo project HAIDUK returns with a crushing new release!“DEMONICON”! Is blackened death metal even darker than death metal ? I can't wait for the FOUR bladed razors to come out to slash my wrists with. Lads I know go to a weekend gaming event called Bloodstock. No. It's not an NHS donation service. How much darker can you get? None more. As I’m typing this , I looked down and noticed the digestives I’m eating are DARK CHOCOLATE! A coincidence or a sign? A sign of early dementia. How can you only notice you're eating dark chocolate after looking at it ? Cue The Omen music or Last of the Summer Wine... your choice. I just thought they were nice. Didn’t think much of it. Actually didn’t think. Doh. ^ Is that the guy that says "To Eleven!" ? 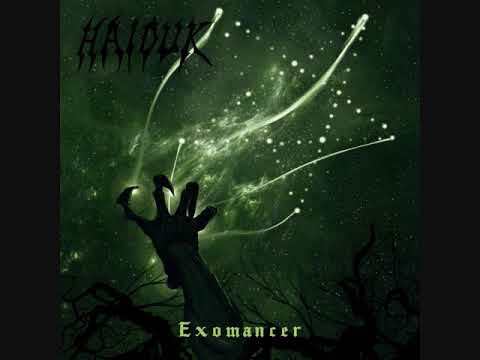 It's a mix of black and death metal. A four-bladed razor? That seems pretty inefficient for slitting wrists..., probably those old-school barber razors would work better. Anyone who gets a shave with one of those is a braver man than I am. Yes. I've had a shave with one of those in a barber's in Turkey. I thought I was through the worst of it... then he cracked my neck and set fire to my ears and nostrils. Yes, that's my #1 fear when it comes to those razors. Barber makes one bad move next thing you know your neck is snapped. Snap your necks to this! Music for your morning shave! Have to say there is some skillful playing in evidence here. I would not have said it's my thing at all, but there's a bit of me that seems to quite like it. 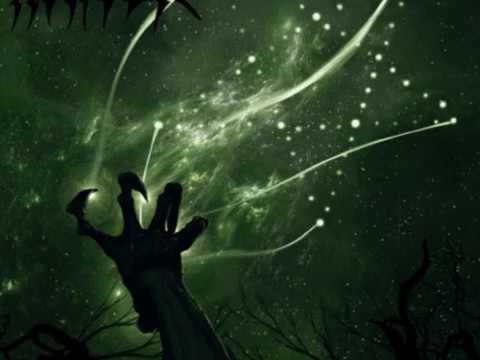 Is there still a death metal scene in Scandinavia where it (the scene) gets really dark? I recall many years ago there were churches being burned down and all sorts. And rotten fish eaten a plenty.